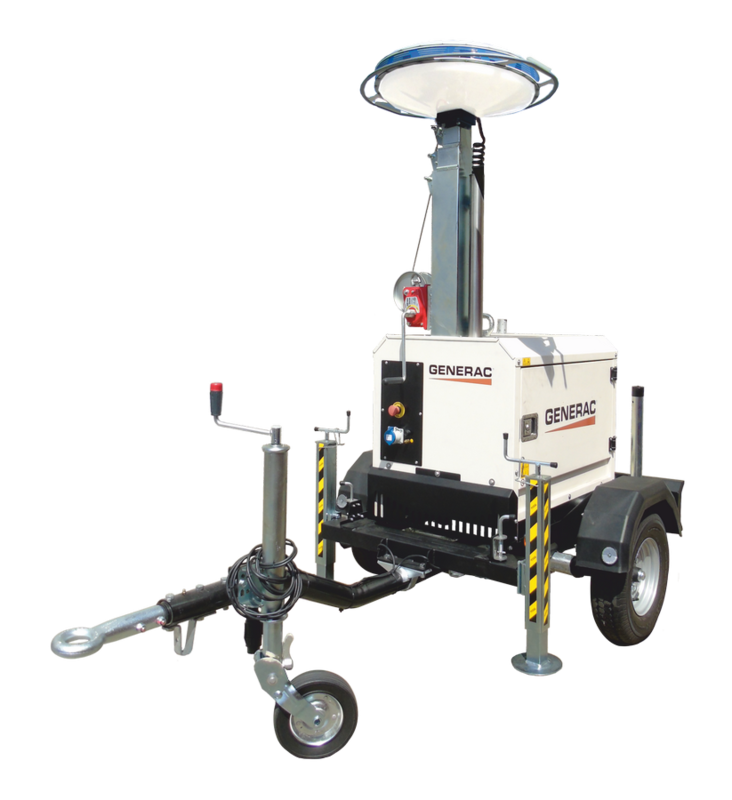 The smallest mobile lighting tower equipped with built-in generator, the MT1 has been developed with the specific intent to be easily handled by a single operator, making it an ideal solution for illuminating small to medium sized working areas. The front steering handle combined with four wheels and a light weight ensure a large turning radius and easy transportation. Choose the lamp type you prefer between 4x400W metal halide, the innovative 4x185W LED floodlights or the new 400W UFO LED lamp. 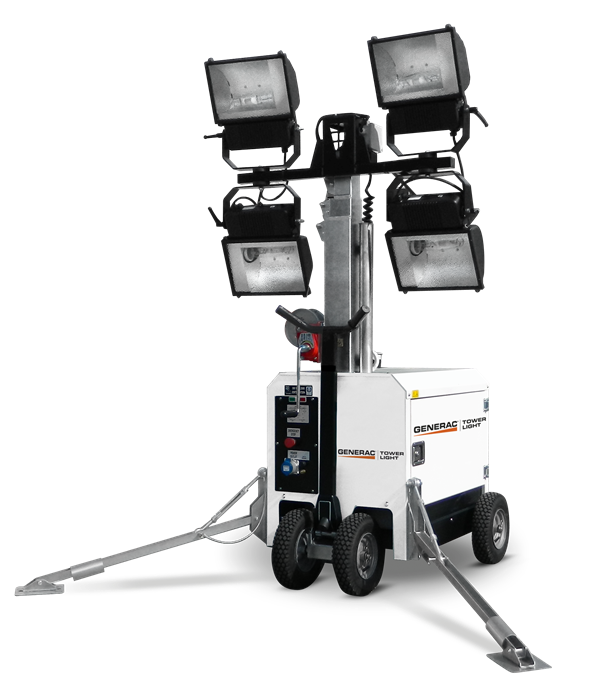 The MT1 can also be equipped witha road trailer with lights, brakes and documents for EU road homologation.